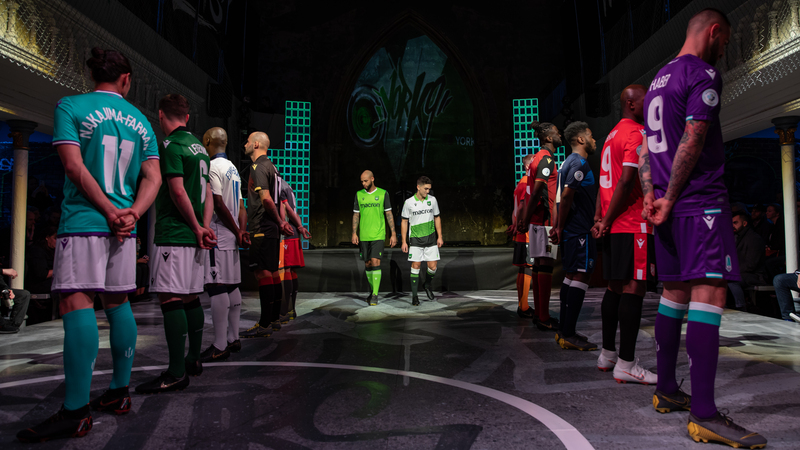 The CPL Kit Reveal in Toronto. (PHOTO: CPL). For just one evening, the “C” in the CPL stood for couture. Last night, we were blessed to experience a fashion event to rival the Met Gala, Milan Fashion Week, and the September Issue. 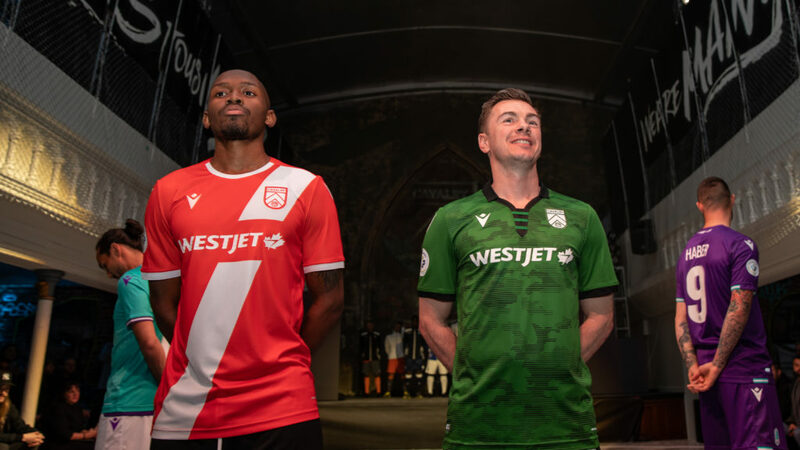 At a secret, undisclosed location in downtown Toronto (which turned out to be an abandoned church), Canadian soccer royalty across all sectors came out to mingle, nibble on canapés, and sit front row for the highly anticipated Canadian Premier League kit reveal. Seven teams. One designer. A timeless collection. The show, straight from Italy by way of Bologna, was a triumph. The birth place of luxury items such as Lamborghini, Maserati, and OMAS and such luxury football legends as Christian Vieri and Pierluigi Collina, has ushered in a generation of greatness with Macron that screams sfilata di moda (or fashion show, in English) like a divine mezzo-soprano diva. And though the official concept design for the collection was We Are Many, We Are One, it may as well have been We Are In Awe. But enough peroration and more prêt-à-porter. 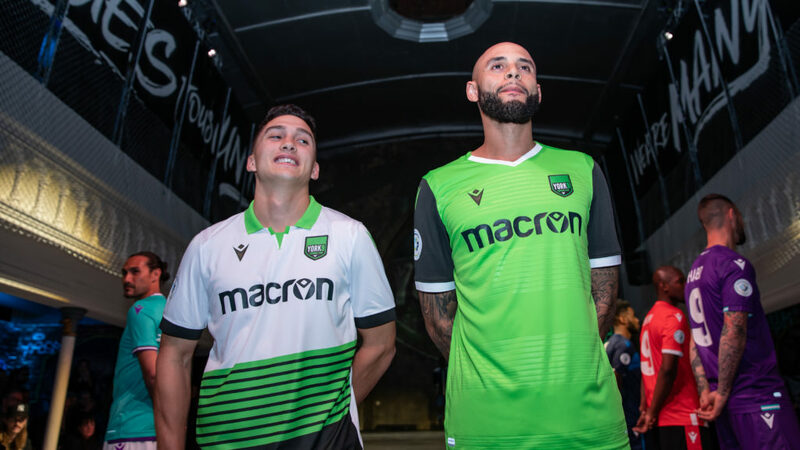 Introducing: Macron and the Canadian Premier League, an exquisite lineup of football fashion. 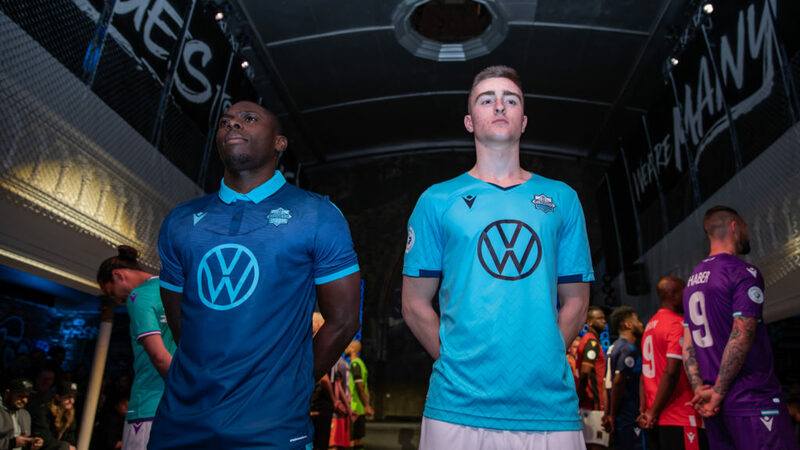 Evoking a binary palette that reflects post-modern chic sensibilities, the Wanderers’ home jersey is as cool as their ocean breeze. Meanwhile, their away ensemble oozes confidence and desirability, with its wave motif embodying a subtle callback to 1962’s Missoni. Zigzag into our closet, grazie! This mega-glam collection showed ingenuity, with playful movement and space dancing on the fabric; think: Diane von Furstenberg’s iconic leopard print wrap dress. 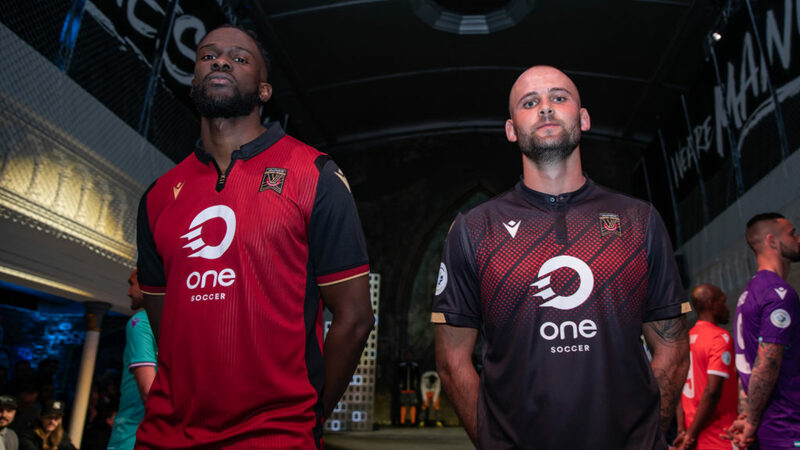 Jumping on this spring’s trend of having no fear of print, the home kit provokes the fire of the forge, while the away kit shows the darker aftermath once the fires have settled. But, in our opinion, the fire will not settle as this outfit is hot hot hot! Immersing us in a visceral experience, neither the home nor the away kit is afraid to come alive with colour. Both pieces offer a je ne sais quoi of boldness that we haven’t seen since Emilio Pucci opened the world’s eyes to colours. The home’s kit stripped cummerbund shows classic design, while their away hoop print pays tribute to classic fabric inlays. All the other models must be green with envy! With its timeless silhouettes and clean lines, this dramatic and romantic duo goes from day to evening in a blink of an eye. The juxtaposition of timeless and modern wear is reflected in colour and style; think the glam chic of Bay Street. This ensemble may as well have come from the sketch book of men’s business fashion icon Alan Flusser, where pin stripes, collars, and deep blues reign supreme. And with the rabbit on the derrièrer? 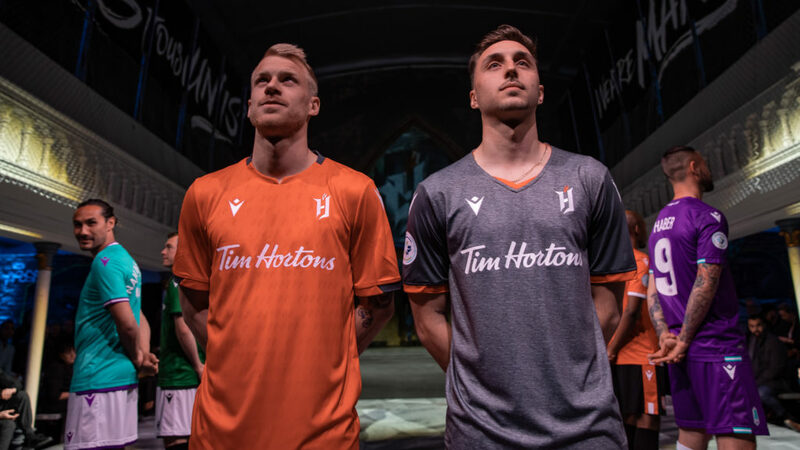 These kits mean all business! Daring and bold, brave and fierce. 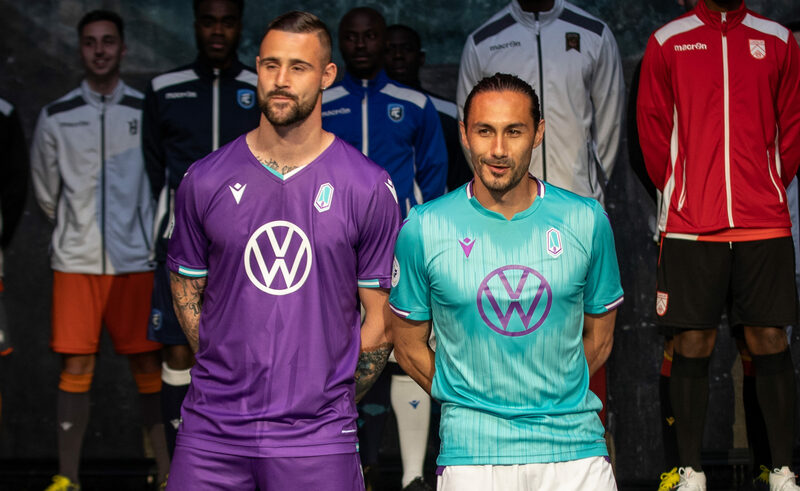 Much like Gucci’s evening wear homochromatic palate, this home kit is timeless, classic, and dramatic. 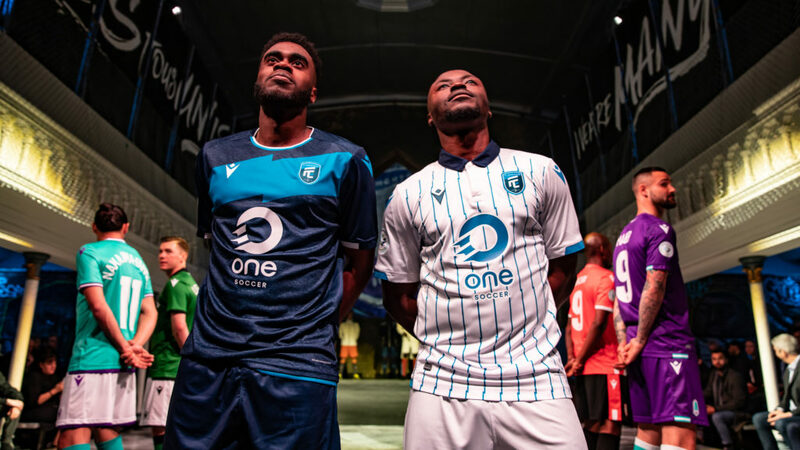 But, of course, we’d be amiss if we didn’t give a nod to the away kit and its wave of Jenny Packham-esque colour pop, but with slightly less lace. And if that colour is good enough for Kate Middleton, it’s good enough for us! Are you used to just third-kit-camo? Well, dare to dream and bump that print up to second! Reminiscent to Versace’s Spring 2016 Ready-to-Wear collection, this Military-chic choice is a force on it’s own. However, don’t let it override the sophistication of the home kit; methodically presented, that sash motif says 1st prize! With beautifully luxe fabrics that seem to take Inspiration from Armani’s tailors, this home kit is red carpet worthy. With masculine shapes and a subtle call to surrounding nature, the home kits is complimented perfectly by the feirce and dramatic away kit. Winter-peg? More like Winning-peg! Whatever your choice, all these kits are chic, classy, and oh-so Canadian!